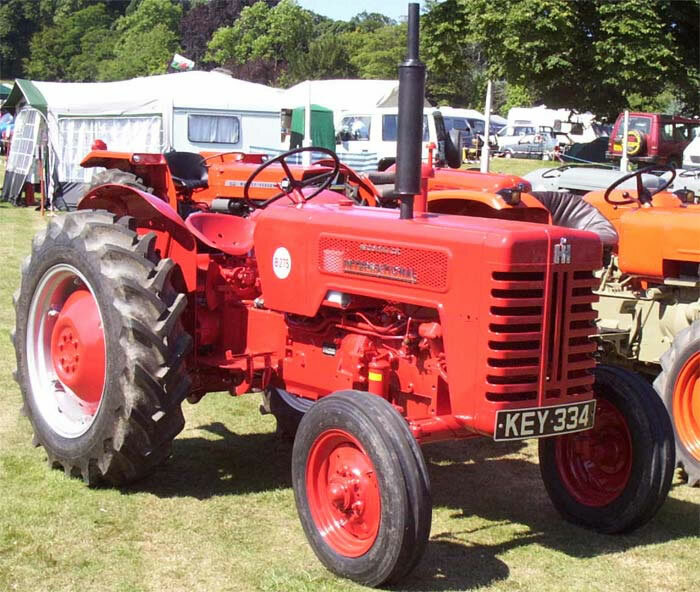 The International Harvester B275 Diesel Tractor was built at the former Jowett car factory in Bradford. The engine was a 35 h.p. four cylinder indirect injection diesel unit with glow plug cold starting. Transmission was via an eight forward and two reverse speed gearbox. Standard equipment included live dual category hydraulics with an engine mounted pump and an automatic pick-up hitch. Independent disc brakes and a differential lock were also provided. The B275 remained in production until 1968.